Scratch the surface of the majority of music blogs, and you’ll find a glut of bedroom producers, making bruised electronic-pop. 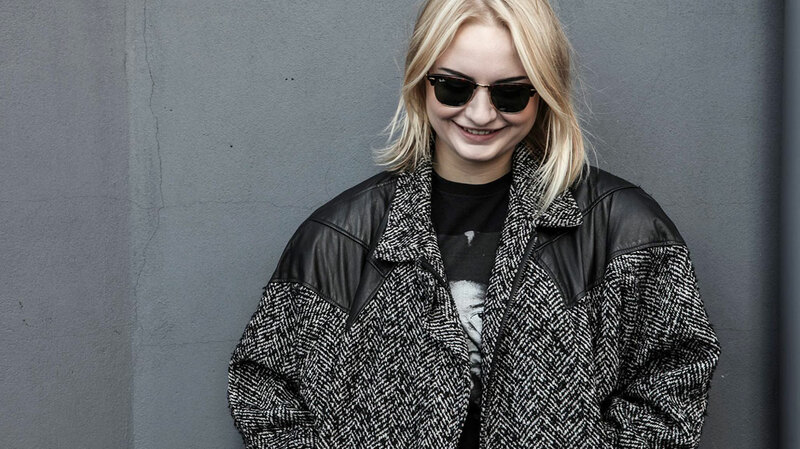 What makes 18-year-old Holly Lapsley Fletcher stand out from her peers is the maturity of her productions. Here, the Southport-born singer-songwriter discusses her musical roots and the inspirations behind her spellbinding Understudy EP. Happy New Year, Holly! Have you made any resolutions? Well I got a puppy a few days ago – an Italian greyhound called Peanut – so I just need to be a good mother... (Laughs) Also to get more exercise and be more planned. You had a great year in 2014, ending it with a BBC Sound Of 2015 nomination. Have you felt an impact? I don’t think so; I just keep writing music, so nothing has changed. It’s a very nice thing that they have recognised me for my music. There’s definitely been a shift in the industry with electronic music becoming more mainstream, and I think that’s really good. Who did you rate out of the other nominees? I like Shura; she makes really strong pop music with an 80s feel, and I’m massively into Novelist. I actually went to see him play live the other week, and I think he’s so sick. Rae Morris is a really beautiful singer too. What’s especially nice about the list, is the fact it wasn’t as London-centric as the music industry tends to be. I didn’t really notice that, but now you’ve said it, yeah. There are more opportunities in London, in terms of there being more venues to play at, and the fact you can just put your music through record labels doors or whatever. And it’s a lot easier to get support slots in London. But, yeah, it is good that people from the north, like me and Rae, are getting spotted. Are you still living in Liverpool? No, I moved to London in July. I just fancied getting out of the house so, instead of going to uni, I was like, “You know what, I’ll live in London.” I get free studio space here, so it’s sound. So, let’s talk about your musical upbringing. Can you tell us your earliest musical memory? Who were the artists that made you want to become a musician yourself? In Year 7, I went to a Kate Nash gig. My parents took me and I was like, “Oh my goodness, it’s a girl doing music!” Also, I listened to Bon Iver from quite a young age, and Bombay Bicycle Club, when they were first starting out, during my early high school years. They were probably my biggest inspiration. And you started writing music around the age of 12, right? Yeah, I think it was when I got to the point where I could experiment on instruments. I’d gotten my grades by then, so I knew how to play and just messed around. What were those early compositions like? The music for ‘Pick Me Up’ I wrote when I was 13, and there are quite a few songs I play now that I wrote when I was really young; I’ve just re-arranged them. They were originally written in a more Lucy Rose/Laura Marling-type style. Obviously, your songs are more heavily electronic now. Which artists inspired you on that score? I was really into James Blake, Kraftwerk and Depeche Mode. Also, although my mum is a massive Kate Bush fan, she also does a lot of exercise so she would always play house and techno at home. So I got massively into techno and deep house from the age of 14. When did you start thinking that music may be the way to go as a career? I’ve never really thought that; I just made music and put it on the internet. I wanted to go study geography but if you’re given an opportunity like, “Do you want a manager? Do you want to do this?” you might as well as give it a go. All the way through school, [music as a career] never appealed to me; I was happy just doing it in my spare time and focusing on my studies. But it’s nice that I have the privilege of being able to do music full-time now. And XL Recordings discovered you through SoundCloud. Were you a fan of the label, prior to signing with them? Yeah. It was kind-of hard choosing a label, because we had a lot of offers coming in. But meeting all the labels, XL stood out so much, both because of the artists they represented and the people that work there. They’re very artist-friendly and supportive, so it felt like the natural thing to do. They’ve given me some free studio space, and they respect what I have to say. They’re also not judgemental of the fact that I maybe don’t know a lot about certain things, or that I do need a studio engineer to help me with the software. They’re really accommodating. Understudy, your first release for XL, is beautiful. For the benefit of anyone yet to hear it, what can listeners expect from the EP? It’s quite a chilled mix of electronic and acoustic instrumentation. I think [the EP] touches on some quite deep moments in my life – at least that’s what I’ve tried to portray – and it shows an improvement in my production too. 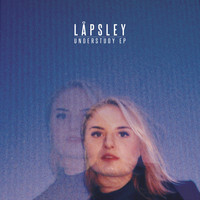 Hopefully it displays what Låpsley is, so people can make a rounded decision about whether like me or not. How did the creative process work on the EP? Some of the songs I originally wrote on guitar, and then just swapped to piano, but mostly I’d say I usually start with the piano or the lyrics first. I just play what’s near me. One of the things we love about the EP is how textured the songs are, and yet they still feel spacious. Well, I’m quite a perfectionist when it comes to adding sounds to space. It’s a really hard thing to pull off, so I’ve worked really hard on making sure no part is boring, and that there is always some sound coming in, and some sound coming out, rather than working on the layers. I listen to a lot of minimal music and I don’t like anything overcrowded, or things that feel overproduced. Also, it’s the fact that I’m quite a new producer, and I’m not really sure how to do a lot of things: the skills I have are quite limited, and I’m trying to improve them and to work to the best of my abilities. What’s the significance of the title ‘Understudy’ for you? Have you started work on your debut album yet? I’ve written an album’s worth of songs, but I’m going to write more and then choose from them. I’d rather have a massive collection of songs to select from, so the quality control is a lot higher. But, yeah, hopefully [the album] will be out by the end of 2015. What else is on the agenda for 2015? I write a song a day so I’m always sticking with that. Also, playing with my dog? (Laughs) No, I really want to work more on my live performance, and the aesthetics of the live set. I’m happy with how my live set sounds but I’d like to get a few fireworks. Or some sick LEDs, at least! I probably will do quite a few gigs in the coming months, playing the songs from the EP. But I think it’s going to be a more festival-y year. Will that involve Glastonbury again? And in terms of your musical career, where would you like to be in 12 months time? I’d like to have my first album out, and to be happy with it. I’m really self-reflective all the time – a bit of a perfectionist, constantly thinking about what I do – and I have to work quite hard to feel like I’ve done a good job. So it’d be good to feel happy that I’ve done my best.